Shawn Levy, who was the latest director assigned to the Tom Holland-starring Uncharted movie, has now stepped down from the project, per THR. Levy has found additional stars for his videogame-focused action-comedy movie Free Guy, which will star Ryan Reynolds and Jodie Comer. 20th Century Fox has green-lit the project and shooting is scheduled to begin in April, which means that Levy has had to step away from directing Uncharted, making it yet another director loss for the project with a notably tumultuous history. 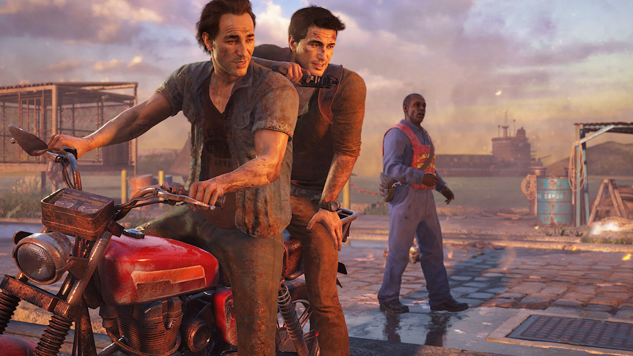 News of an Uncharted movie first broke in 2009. Kyle Ward, the original scriptwriter, was the first figure to drop out of the movie that same year. Thomas Dean Donnelly and Joshua Oppenheimer were hired in his place. The movie got its first director, David O. Russell, in 2010, but by the end of the year, Russell had signed on to direct Silver Linings Playbook. Russell then dropped out of the project in 2011 over creative differences. Neil Burger replaced Russell in July 2011 but dropped out in 2012. In February 2014, Seth Gordon became the newest director on the project and indicated a desire to begin filming in 2015. While Sony revealed a release date for the movie of June 1, 2016, Gordon leaving in June 2015 shot down all hopes of that release date being met. Levy had joined the project in October 2016 and in the same year, Joe Carnahan revealed that he had finished writing the script, teasing it as “monstrously cool.” 2017 probably saw the most positive news for the movie, which was that Holland had been cast as a young Nathan Drake. Holland is still attached to the project, but with the loss of yet another director, it’s hard to see the movie’s release in sight. Sony is currently in search of Levy’s replacement.